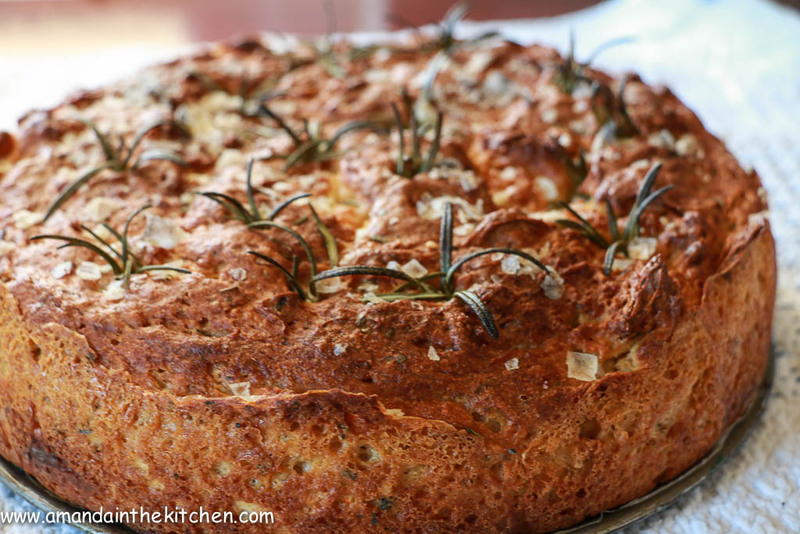 Warm fresh gluten free foccacia, smothered in butter. What could be better! Mix all of these together and store in a good airtight container. I sometimes double this recipe and then I have enough for many loaves, although the quantity does make roughly 3 loaves of bread. Grease a 30cm springform pan and line the base with baking paper. Whisk the yeast, water and sugar together, cover this with a tea towel and leave to stand for about 10 minutes to activate. It should develop a foamy top. In the mean time mix the flour, xanthan gum, baking powder and the Vitamin C powder together in a bowl. 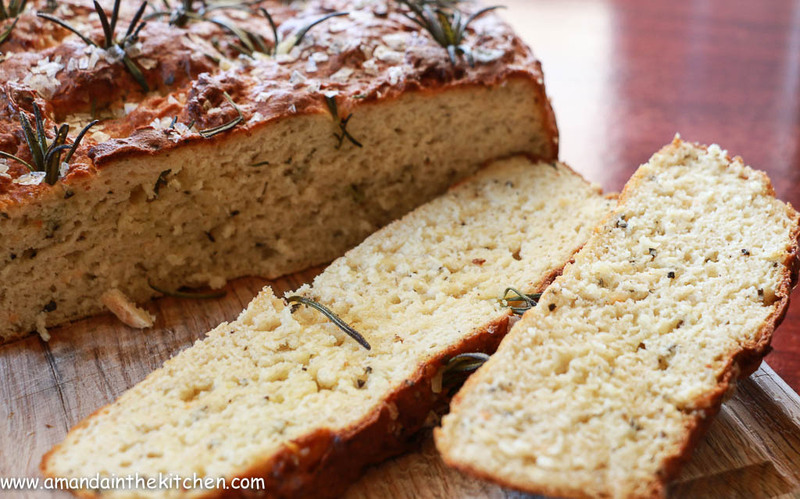 I like to add the dried herbs to the flour mix, it adds flavour to the bread. This is optional. When the yeast is frothy, whisk the egg whites until they are foamy: basically until they look like bubbles in a bubble bath. Add both of these to the flour mixture and combine, be careful not to be too heavy handed and over mix. Your dough should be quite thick. Spoon this into your oiled pan, smoothing it with the back of a spoon. It is rather sticky so be careful. Leave this to prove in a warm place for 20 minutes. I cover it with a tea towel, but it can rise right up and touch the tea towel, so be careful when removing it as it is sticky and you don't want the bread to collapse. 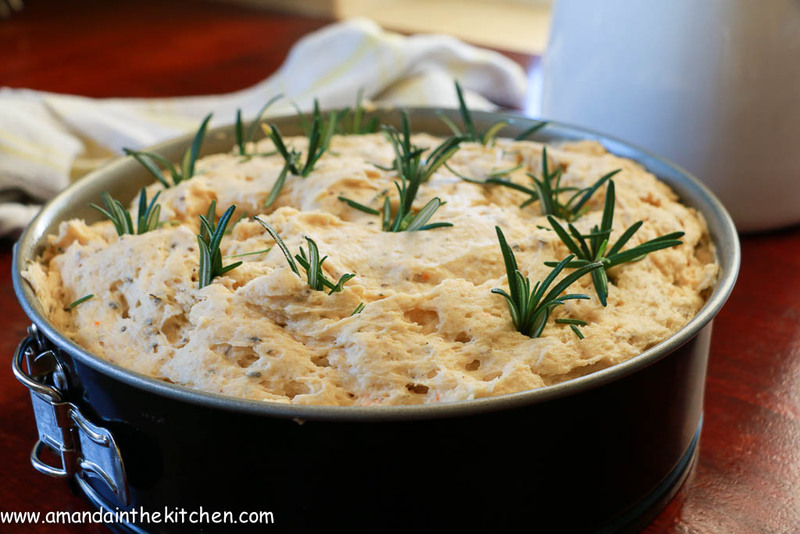 When the dough has risen up nicely, pierce the top with the sprigs of rosemary. Make small indents with your finger and pour the olive oil over the top and sprinkle the dough with the course sea salt. 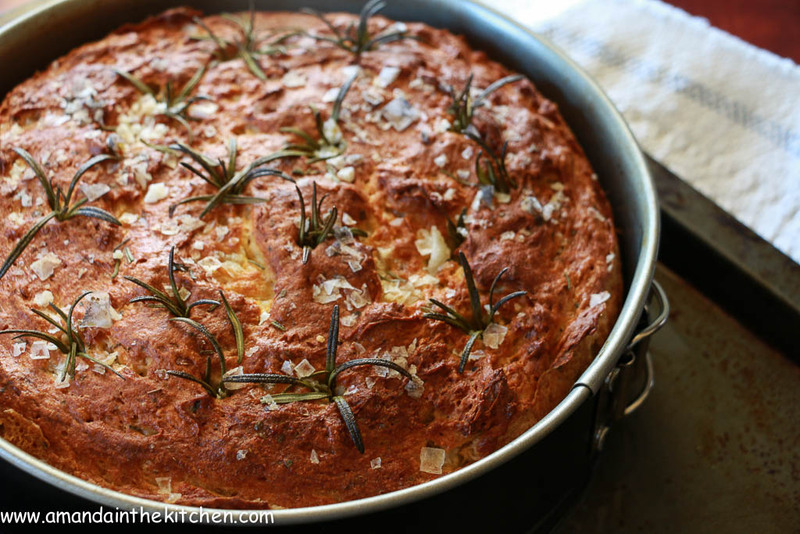 Never add the salt into the dough as it stops the bread from rising, always scatter it on the top. Bake in the oven for about 20 minutes until nice and brown. Allow to cool on a wire rack. Slice, smother with butter and enjoy. Garlic slivers: by adding these to the bread it must all be eaten on the same day as the garlic makes the bread go a little soggy the next day. Sundries tomatoes: Also add these if you are going to eat the bread in the same day. 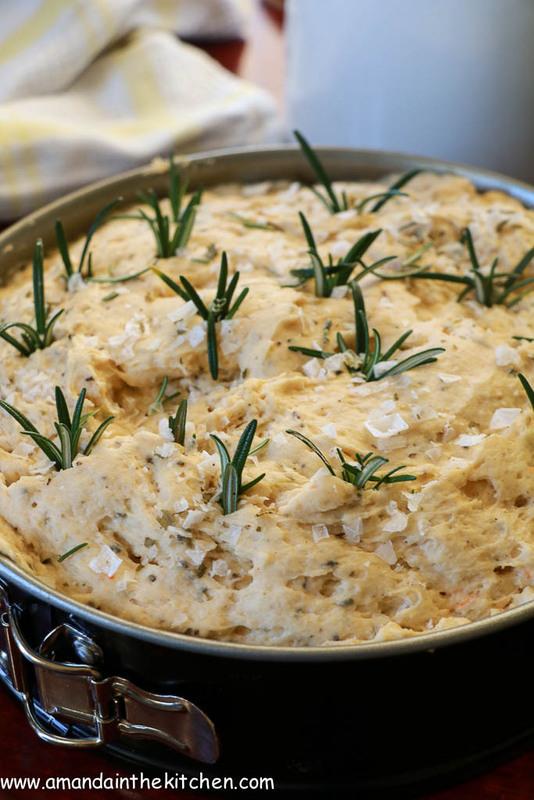 The herb and sea salt version above allows you to keep the bread for 2 days after baking!